*OH Sat 3/30 12-3! 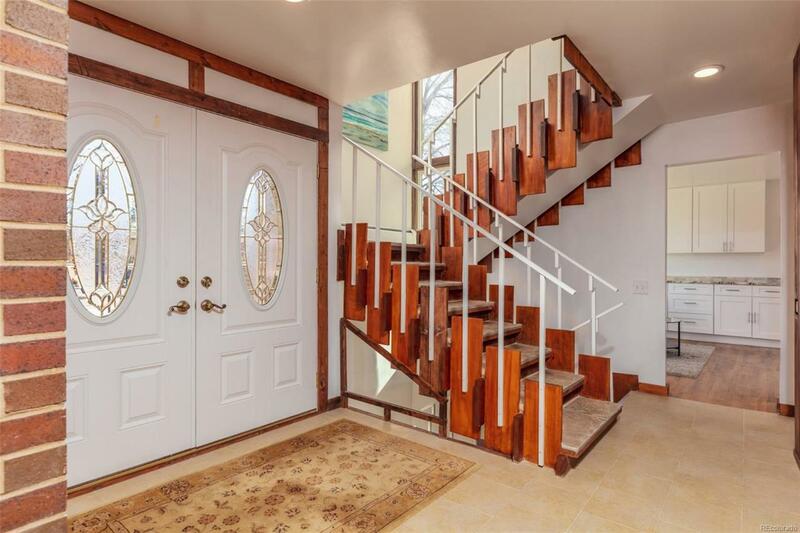 * Upgraded mid-mod in University Hills w/ mountain views. 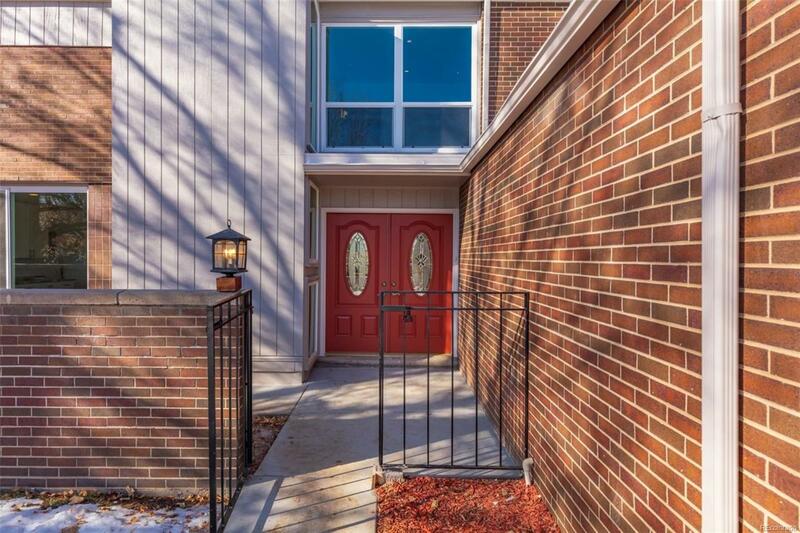 Offering 4 beds, 2 baths & a finished basement. 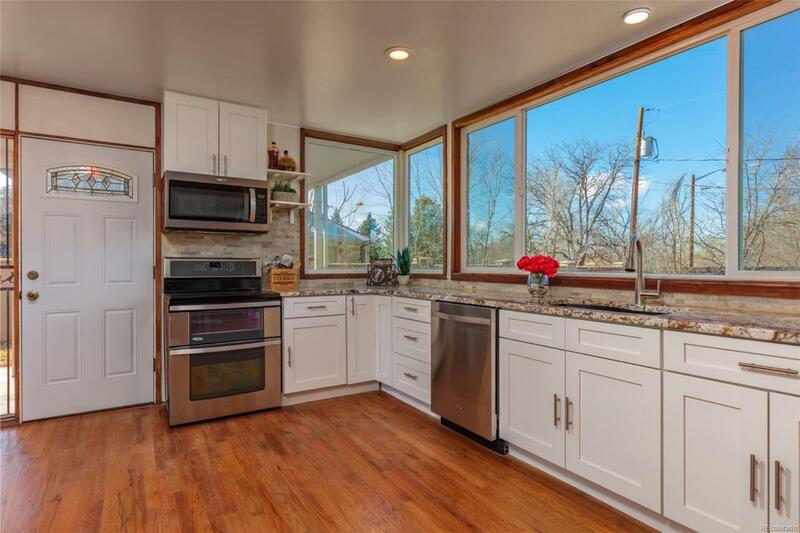 Updates include: renovated kitchen w/ sleek modern finishes, updated baths, fresh interior/exterior paint, refinished hardwoods & all new windows & sliding-glass doors, carpet & tile, interior doors, garage door, driveway, wrap-around patio, boiler & a/c. New modern finishes blend beautifully w/ the original mid-century architecture. Large windows & sliding-glass doors flood the home w/ sunlight. Spacious kitchen w/ quality cabinetry, granite, stacked-stone backsplash, breakfast nook, new Whirlpool appliances & a dream layout for entertaining. Upstairs find 4 generous beds. Private master boasts an en suite & walk-through closet. Laundry shoot in the hall. Basement w/ a rec room, flex space & storage. 1/4-acre lot backing to Highline Canal Trail. Walk to Magna Carta Park. 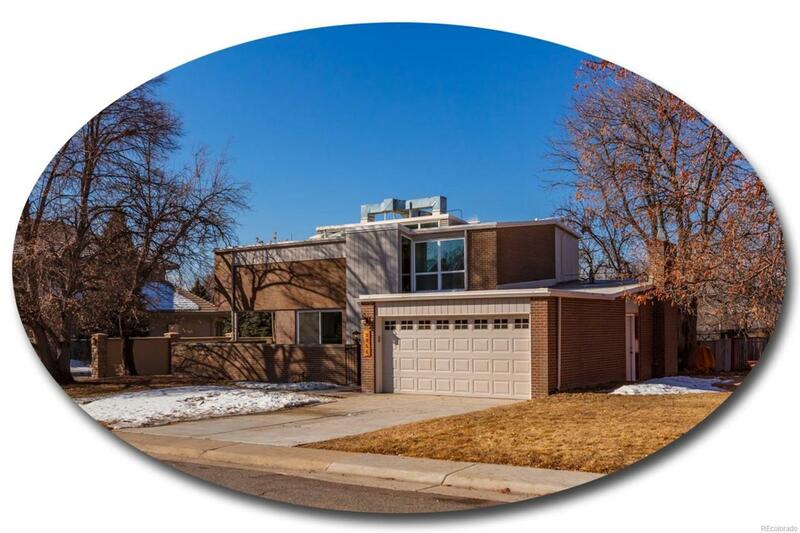 Close to Wellshire Golf Course, Eisenhower Park, I-25 & light rail.